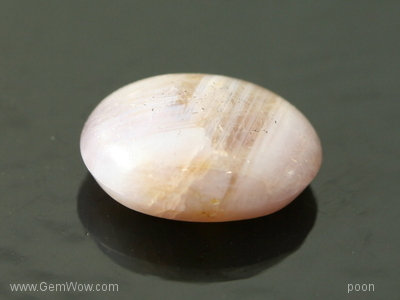 Light peach hue with "silk" in an oval shape. 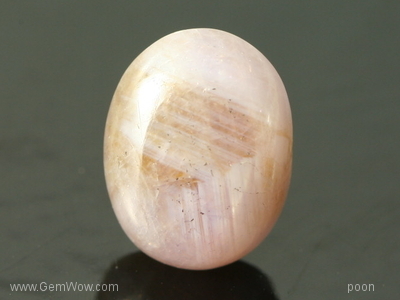 Weighing 5.46 carats, this star sapphire of Burma origin is a pleasant stone suitable for a ring. Star is of medium sharpness and the price is very reasonable. 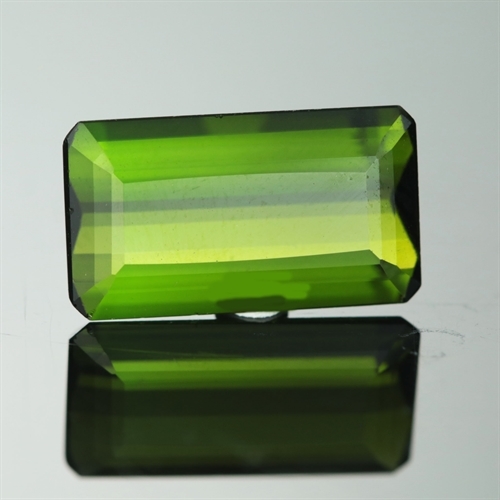 The unsual color is hard to find and belongs in a gem collection. 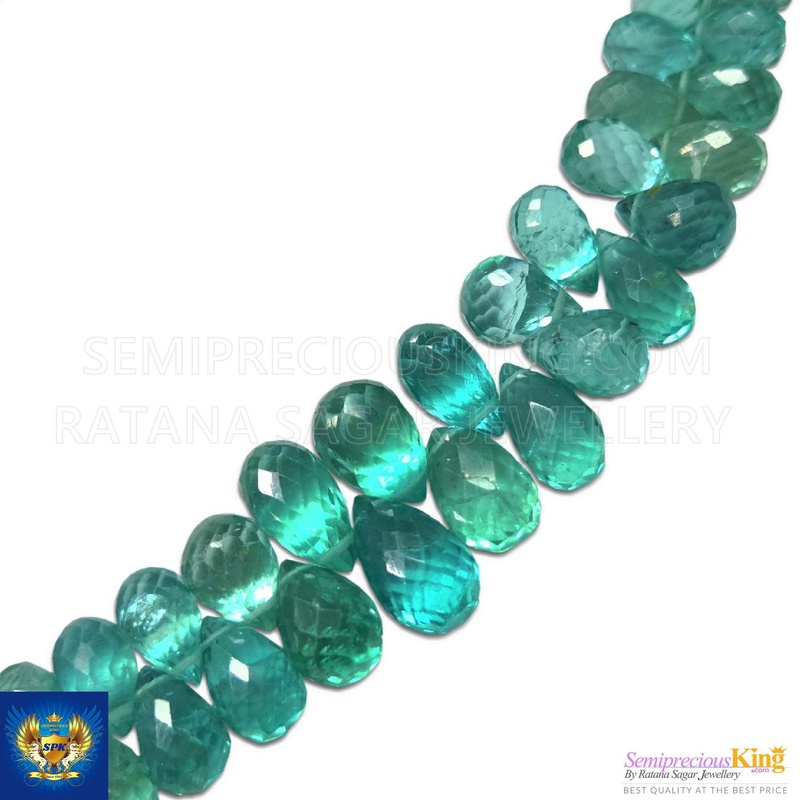 Star Sapphire has the same metaphysical properties as the color of Sapphire it appears in, with an enhanced energy and intensification of those properties. The star itself represents the manifestation of Divine knowledge and Light into denser reality, and reminds us that the outer manifestations we treasure are a reflection of the Light of our own essence. 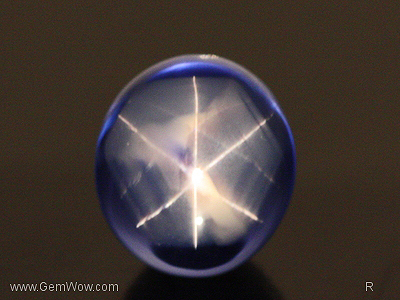 The three lines that cross in the six-rayed star represent faith, hope and destiny, sometimes associated with three angels who offer protection to those who wear Star Sapphire. The moving star brings ongoing safety to travelers and guides their way home.